used by permission. Photos by Brent Kane. All rights reserved." 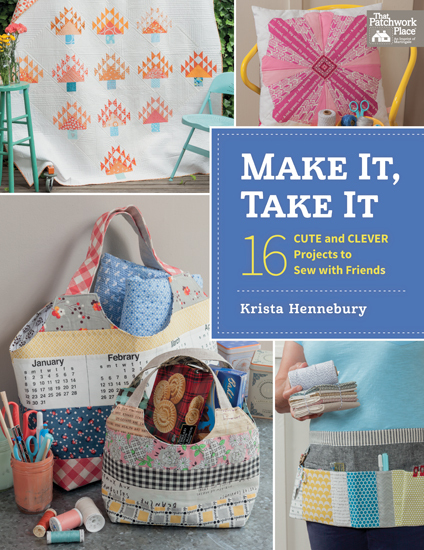 Today is my turn to tell you about my project in Make It, Take It, which is a beautiful new book by my friend Krista Hennebury. Krista blogs over at Poppyprint. I am so proud to be a part of this fantastic book with so many excellent contributors. Krista has run quilting retreats for many years and she used her knowledge and experience to put together a book of projects that compliment the quilting retreat experience. The first half of the book has projects to make to help the quilter take their sewing on the road and the second half of the book included projects to make on a retreat either as a group or on your own. And, all of the projects are just fun to make for yourself or for gifts, whether or not you are actually going on a sewing retreat. 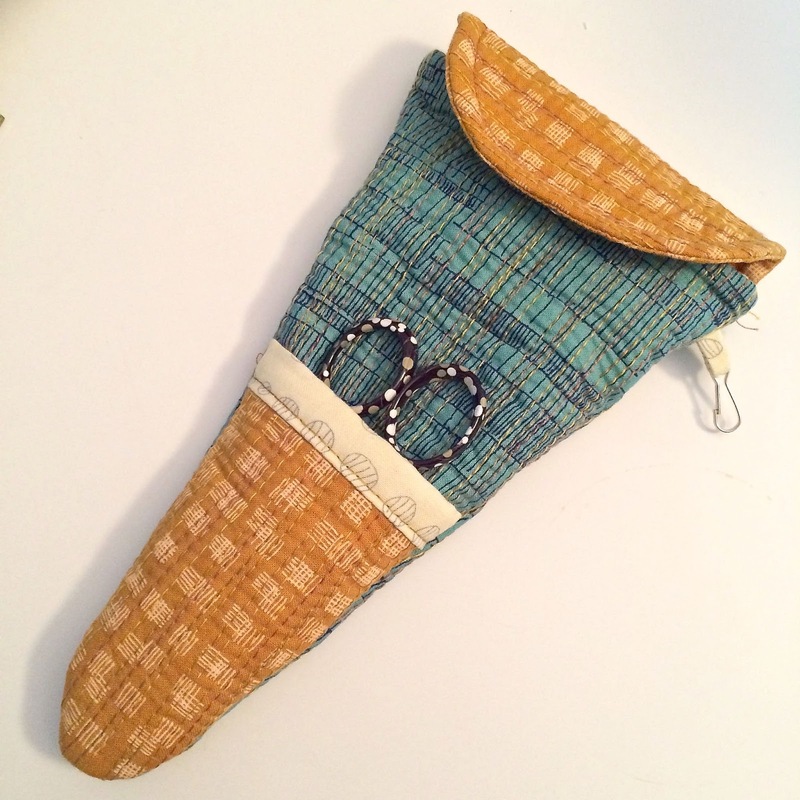 My project in the book is called the Half Moon Needle Case. If you are like me, you have packets of quilting needles, embroidery needles, needles with large and small eyes, needles that are longer and shorter, and packets of assortments of different needles too. This needle case is designed to allow you to keep your entire packets of different kinds of needles together - so you can find them in your sewing room and easily take them all along on retreats - you know, because you never know when you or your table mate will need that special kind of needle. This needle case is large enough to hold a fair number of needle packets. It can also function as a small project case, holding a small pair of scissors, some thread and other small notions. The felt pockets store pins and function as a pincushion when you are on the road. The continuous zipper holds everything securely in place and the dumpling shape provides a fair bit of room. Before you know it (ask me how I know) you will have zipped in your measuring tape, seam ripper, a small ruler, hexie papers, the kitchen sink and any number of other sewing bits that might need for your retreat or for sewing on holiday, at your guild meetings or even just while watching television or a movie. 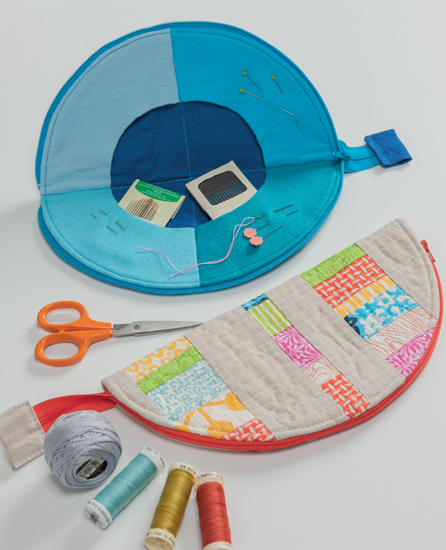 Finally, I also wanted to make sure that this super simple to make needle book could be a place to show off a bit of really easy improv piecing, some fun quilting and that it would be a circle too - all things that you know I love. This book is also special for me as I met Krista in person first at the Fat Quarterly Retreat in London, UK. Yes, two Canadians had to go to another continent to a quilting retreat to meet in person - and we had the best time. 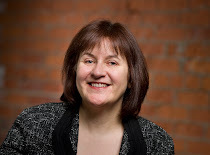 Krista is fun and funny, generous and kind, very talented, and a true friend, whether on retreat, working with on her book, or connecting with in person or via the internet. I have started making other projects in the book too. I took my Double Scissor Keeper to QuiltCon - one of Amy's projects in the book (Amy's post at During Quiet Time about her project is here) and I was so inspired by Berene's video about her project the Ultimate Equipment Tote (go here to her blog Happy Sew Lucky to see it) that I have started pulling fabrics to make one too. I hope to have finished several more by the time I head off to my next retreat. leave me a comment - let me know if you have been to a retreat or sewing day and what you liked most about it. My followers can have a second entry - leave a second comment letting me know where and how you follow me. I will randomly draw the winner from the comments on Saturday morning (April 11). Oh, and please leave me a trail to find you - if in doubt put your email into your comment as if I cannot find the winner I will draw again. edited: This giveaway is now closed. 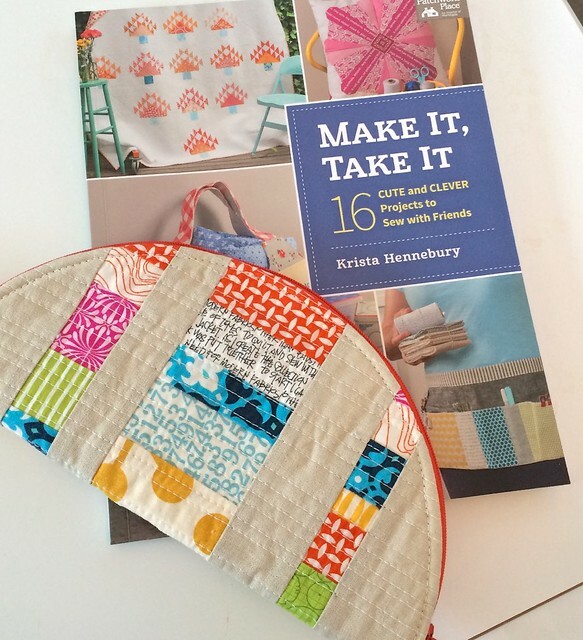 If you don't win a copy of Make It, Take It, you can get it at your local quilt store, on Amazon here or at Martingale here. I've never been to a retreat or sewing day, but I imagine the air absolutely buzzing with inspiration as people exchange ideas. The best thing about a retreat is the extraordinary feeling of friendship and support from people you have just met. ANd I follow on GFC too! I have never been on a sewing Retreat or to a sewing day either! But I think I would enjoy it! I have been to one sewing retreat with two Australian designers, Gail Pan and Helen Stubbings. I love the feeling of companionship and inspiration being together with people that have the same interests as you, and are eager to learn new things. Skilled and inspiring instructors are always a plus. I would dearly love to go on a retreat or sewing day. I haven't found the place yet around me to do these things. I'm bedridden a lot with a neurological condition, so I tend to back away from being places on specific dates and times. I am trying to convince myself that I need to try to get out there. We moved here about a year ago and I know it would be a great way to meet new friends and have some fun. So, hopefully, in the future I'll be able to answer yes to that question. In the meantime, I still like the projects from the book and would love to win one! I go to a quilt guild meeting each month and it is great to have a day dedicated to sewing. I get so much inspiration from seeing what other people are making and if I get stuck, there is usually someone who can help or advise. I haven't been to a retreat yet but i fully plan on attending one this year! Your needlecase is just gorgeous! I love it! I have to make one. I love my guild sewing days so much. It is so inspirational. All the projects and fabrics that you can see and come home wanting to make several more quilts. I've not gone to a sewing day but my quilting friend and I have lots throughout the year. The favorite is my birthday weekend, at the end of march, when we go through my stash and pull fabrics for several of the quilts on my 'to make' list. This book would add a lot to that list! I went to a retreat/workshop with the Gee's Bend Quilters. I Loved the comraderie and sharing among the students. I learned a lot from both the teachers and the students. I haven't been to an "official" retreat, but have been to all day classes and had sewing days with friends. That's always a good time! What could be better than being surrounded by friends and fabric? I haven't been on a retreat but I hope to take some quilting classes soon. Your quilt is gorgeous! And I love the way you quilted it, too. You always bring a little something extra to your stitching. I have never been to a sewing retreat but I am beginning to want to. I have been to a few sew-in days, but have not been on a retreat yet. Hoping to one day. I enjoyed the comradarie of my fellow guild mates and the dedicated time to finish quilt blocks or tops. I have been on sewing retreats and also spend one day weekly sewing at a local quilt shop with friends. I love seeing what everyone is working on, sharing ideas, and having lots of space to get focused on my projects. Love your needle case. I follow you on Bloglovin. no retreats so far, but I get together with four friends weekly to see something. and about every three weeks we meet with another group at a church to sew for th whole day. it is inspiring and lots of laughs!!! I've been to 2 weekend sewing retreats, and my 3rd is starting THIS FRIDAY! What I like best is 3 days of uninterrupted sewing with my friends (no housework, no cooking), and that these are pretty loose (no scheduled speaker, no group craft activity) so I can sew whatever I want!!! I have never been to a sewing retreat. Sounds like such fun! I have never been to a retreat. Maybe someday! Before kids I was in a local modern group and went to a few se days (which were one evening a month) and although you spend more time visiting I did get something at least worked on and was able to see some other beautiful work! I really enjoyed them! Also, I follow you on bloglovin! I love the half moon shape of this project. I am going to have to make one because I am forever losing my needles...just ask my husband. It drives him crazy! Your half moon needle case is handy looking and love the design with those pockets. Nice finish. Your double scissor keep looks wonderful too. I also follow you via email. I love your needle book ~ perfect size and the shape it great! I've never been to a retreat ~ ever! I think it would be a blast and one day I hope to attend one! I have not been to a retreat but would LOVE to-- mainly to have more than an hour of uninterrupted sewing time! my friends and I go on as many retreats as we can all attend! We love getting together and catching up! I follow you on Blog Lovin'. I use Feedly to follow your blog. I've been on a couple of retreats with a small group of friends. I love how much I can accomplish on these weekends, the sharing of ideas and expertise, and the crazy fun we have! My guild has regular sew-in days. These are fantastic opportunities to get to know guild members on a more personal level. My girlfriends and I try to get together once a month for a sew day....it is the best time always!!! I've never been able to attend a sewing day though I have been able to a couple of classes. I have never been on a sewing retreat...would love to some day. Looks like a super fun book! Retreats have so many favorite features. My favorites are spending time with my best sew buds, wearing pj's while sewing, fueling on chocolate and orther goodies, and fueling my creativity! I follow via Blogluvin--I do 4 retreats this year--love them! I meet up once a week with my friend that started me in quilting. We either meet at my house or hers, do some sewing, have lunch, help each other with fabric choices, etc. It's great fun! Follow you on bloglovin and when you so graciously assisted us with the Millennium set up! Will never forget that. Thanks and more thanks. 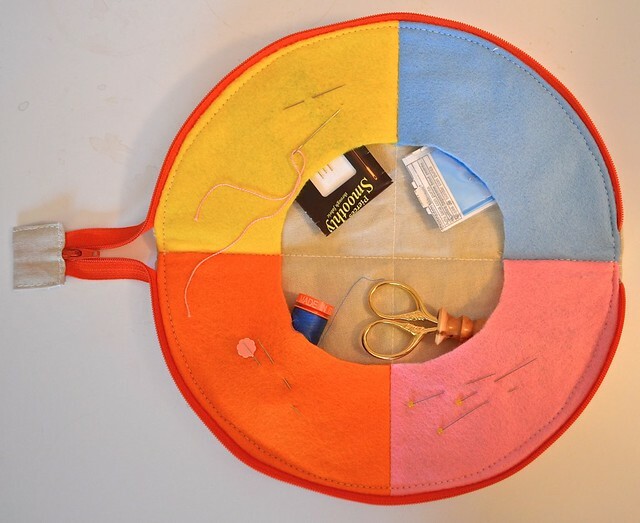 I love your circle zip bag - such a clever idea! I've never been to a sewing/quilting retreat, maybe when my kiddo is older and doesn't need Mama for bedtime. Oh, I think I will make up a way to make you bag, if I do not win the book... :). I have been to a sewing day last year, maybe two times in Hungary. I enjoyed the quilts I have seen and the little bit of fabric I could buy. ehodasz at yahoo dot com (do not use the google account). I have never been to a retreat or sewing day. Yes I've been to many retreats; all awesome, step-outside-of-your-crazy-life experiences. Mmmm. I actually organized 4 as the vice-president of my (then) Alberta guild. I never got done as much as I'd hope to, but the sharing and laughs and visiting were always so much more than what I'd thought they'd be! I have been to many retreats. I have a retreat scheduled for June. I would love to make some of the book projects to better organize my supplies before the retreat. HAPPY TO FOLLOW VIA BLOG LOVIN' ! I'm so happy this project is in the book and that you are so pleased with it! I am too!! People love it at the trunk shows and I can't wait to make one of my own. Thank you for saying such nice things, Leanne. You are such a kind friend!! I haven't been to a retreat but would love to participate in one. I've never been to a retreat but I do go to a weekly quilting class which is like a mini retreat! There I find there's a lot of sharing, inspiration and encouragement! I have never been to a quilting retreat. I do like taking classes, can learn a lot just from the others in attendance. I love this book. Thanks for the chance to win. I have not been to a quilting retreat but I did attend a four day mystery quilt class and it was wonderful. I may attend again this year. I enjoyed meeting other quilters and sharing in their quilting journey. I would be very pleased if I were to win this book. Thanks for the chance. 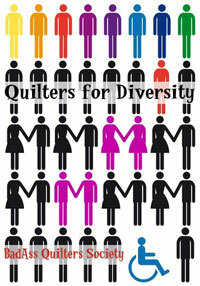 I've been to a quilt convention and I loved getting to meet quilters from other countries. I've never been to a retreat or sew day. I just love sewing with others. Learning about other sewers, finding so much common ground and sharing interests and differences. So enriching. Thanks. I follow through email. Thanks. I live in Vancouver and am lucky to be part of some of the groups Krista mentions in her book. The Loon Lake retreat is an important annual event. It is more than a sewing retreat---Spending time with some of my best friends and meeting new interesting people is the best thing for me. Second best is not having to think about meals at all and just turn up to eat and visit when the bell rings!!! I've never been on a retreat but I'm sure it would be an awesome mini vacation with others who love to sew like I do. I have been fortunate enough to attend several retreats and they are my favorite!! I follow you several places but GFC is one. I've never been to a retreat or sewing day, but they sure sound like fun! Love your needle case and scissor keeper. These all look like such fantastic projects! I have never been to a retreat, but I really hope to try one someday. I've never been to a retreat but I'd love too!! I love your needle case and I really need to make one! I have not been to any retreats or sewing days but I would dearly like to try one some day. Thanks for the chance to win! My local cross stitch shop sponsors a retreat twice a year. I enjoy staying up late and swapping stories. I haven't been to a retreat yet. I think it would be a blast. 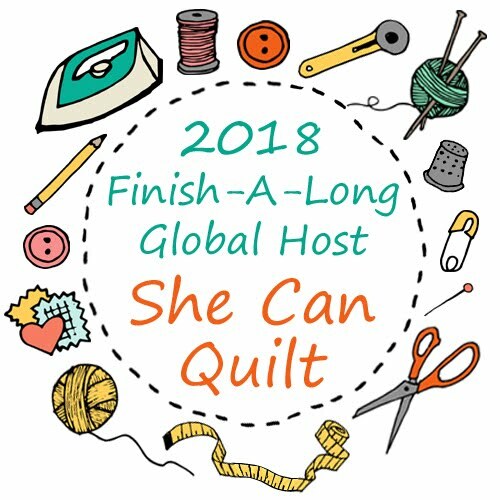 I have never been on a quilting retreat but it sounds like a lot of fun! Yay I am a follower of yours :) Happy Tuesday to you! Yes I have been on a sewing retreat. Twice with friends and it was fab because it was quite relaxed. We all just sewed what we wanted to. I've never been on a sewing retreat. I imagine it would be amazingly wonderful! I follow you by email! Love your needle case! I follow via email. My favorite way. I really like your needle case. It's so much larger than most you see. I know that will come in handy. 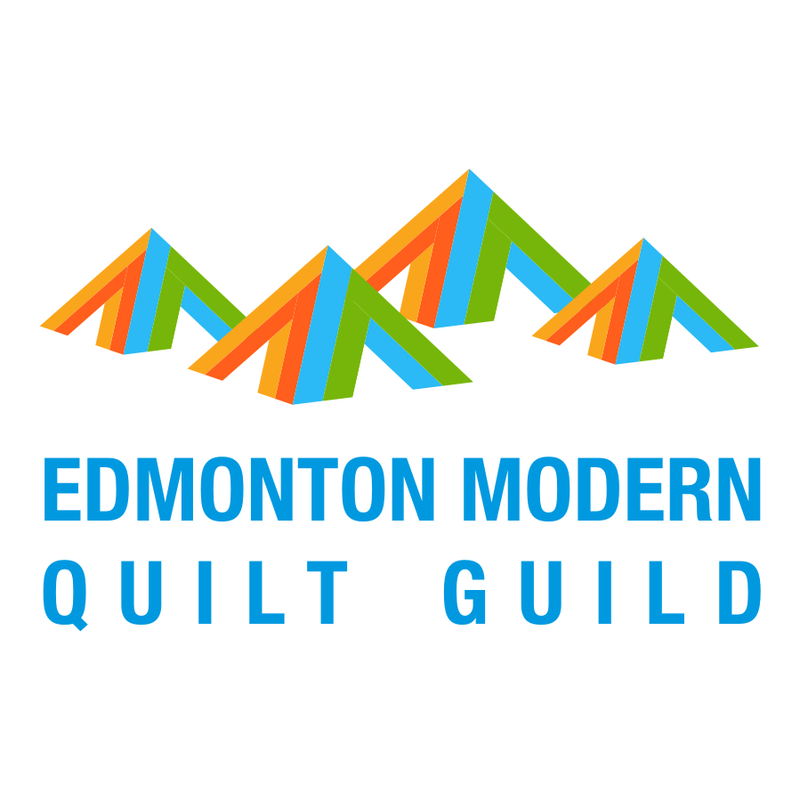 Our guild has "Quilt 'til you Wilt" days a few time a year. They're great for getting to know your follow guild members better and you can get others help if you need it. I go to 2 quilt retreats a year and I enjoy them immensely. I love your project and would love to win a copy if this book. Thanks! I have not been on a quilt retreat. I will however be joining Krista on an Alaskan Cruise in June where she will be teaching a group of us a project form her book. Would love to win the book in advance so I could make the Ultimate Equipment Tote to take with me. 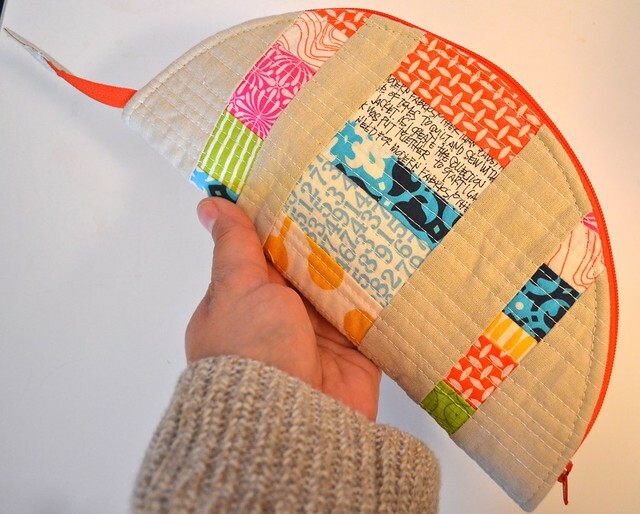 Leanne, your Half Moon Needle Case is genius! No more stray needles falling to the bottom of my baskets, bins, or sewing box. Sleep design too and I love a good quilted cover. I love a good sew day w/friends and have had such a recent one . THe creative energy that flows is what I Love. THe way we ooh and ahh at each others creations. Sharing our tips and tricks to willingly. I have never been on a sewing retreat. Thanks for the giveaway. Leanne, I follow you via email and Bloglovin. Thank you for sharing, always. I love my guild retreats, great friends and food! I think the sewing retreat I have most enjoyed was the mini retreat held at my house over a weekend! The best thing was that good friendships already present by web, were made more secure by actually spending time sewing together. It was great! Retreats are fun to learn new things and be with friends. I follow you on BL. I have not yet been to a retreat or sewing day. It's still on the list to be realised, hopefully soon! Thanks for the chance! I have retreated by myself or to a friends but never with a bigger group. I found them a great way to focus on my projects and get lots done. I recently participated in a sewing day for World Wide Quilting Day. I was part of a group of three and what I liked best was creating so many lovely lap quilts from scraps. When you have to work fast you don't second guess yourself. We managed to piece four tops and they were lovely! I have been on some quilting days and some quilting retreats. They are fantastic. We have a large guild, so you do not always get to know the members very well. Spending a day, weekend or more with some of them really helps to get to know them and make friends. Then there are those retreats where you don't know anyone. The first one that my friend and I went to, I was afraid that we would be alone and not get to know anyone. Well, I was sure mistaken! They took us in and we made some great friends. The very first retreat I went to I was trying to finish up my college degree (20 yrs after I finished high school..geesh). I was taking an online Spanish class, and the retreat location had NO SERVICE!! I had no idea! So I ended up driving to a stop sign closer to town where I had cell service, calling my husband, and walking him through my Spanish homework over the phone. It was crazy, but I ended up with an A in Spanish that semester!! I have never been to a retreat but, I get together once a month with my quilty friends and we sew together. We all bring our projects and goodies for lunch. After we stop for lunch we do a quick run into town to visit the LQS and then back to sewing again. It's a fun day and great time with friends! I love all the cool ideas in this book. I could spend all day making things. I LOVE quilting retreats. There is a groups of quilting friends that attend a special quilt retreat annually. I love the sharing of ideas, helpful tips & tricks, bonding as friends through quilting and sewing - wonderful time and wonderful memories. I would love to make more quilts and crafts on my new sewing machine this Spring! Small sewing weekends with the girls are so productive and so much fun. We solve the world's problems and produce lovely quilts at the same time. What a darling needle case! It's now on my to-do list, hehe. I have not been to a retreat yet but I'd love to one day. We do have a group of friends that get together once a month. It's potluck style and everyone brings something to work on. Sometimes we get lots done and sometimes we just end up sitting and visiting. It's great to catch up as well as see what everyone is working on. I'm a follower via BlogLovin. P.S. I follow your blog on Feedly. THanks for the opportunity to win this awesome giveaway. I've never been to a retreat or sewing day but hope to one day as I don't have any friends that sew! What I like most about sewing days is the growing friendships along with the advice and tips you can pick up. Sometimes you can get a lot done, but sometimes there is more talking than sewing. Sadly, I have not participated in a retreat or sewing day, but I would love to someday! I am a Bloglovin' follower of yours and love every post! I've been to our Guild's retreat--about 30 people--the last two years. It's been great to sew all day or night and just stop to eat meals prepared for us at the Conference Center. Would love to try some of the Make It Take It projects. A few months ago I attended my very first quilt gathering...an UFO finish up. What I loved most was the fact that there were so many wonderful people who talked while they quilted, jumped up from their chairs to help another with a difficult spot, and generally made the whole night FUN! Did I get any sewing done? Yes. Could I have done more? Yes, but that would have meant missing out on the camaraderie that made the night special. Thanks for the chance to win! I have never been to a sewing/quilting retreat. It would be so fun to do that! I have never been on a retreat. The needle case is brilliant and would be so useful. I recently went to a retreat. I liked having dedicated time to sew/quilt. No interruptions except for chocolate breaks. I have never been to a retreat, only get together with friends.